It is YOUR RESPONSIBILITY to check if you need a visa. For immigration purposes, a visa is a form of permission that allows you to legally enter a country. It can be in the form of a stamp or sticker in your passport. In addition to your passport, many countries require you to obtain a visa before entering the country. For some countries, you will need to obtain a visa prior to your departure. For others, you may obtain your visa upon arrival. Each country has its own requirements and application procedures. Given the differences for each country, it is impossible for us to cover the steps and requirements for each and every country, or for each and every possible situation. We recommend that you work directly with your host country’s embassy or consulate, or obtain the services of a visa specialist. Should you decide to hire the services of a visa specialist, below is a list of visa agents and consultants. You should explore the services that each company or consultant provides, ask them questions, and decide if you would like to work with one of them. Of course, you are also at liberty to identify another visa agent to work through. Whatever method you choose to obtain your visa, please make sure that you start investigating the process early, and that you allow enough time to apply and receive your visa; some visa applications may take two weeks, while others may take up to two months. Adhere to the format specifications for all supporting documents. Do not argue with visa consultants or embassy/consulate visa officers about the requirements. If you are interacting with an embassy/consulate visa officer, please be respectful. In addition to the visa requirements for your host country, you should also look into the entry and exit requirements of the other countries that you may visit beyond your host country. For instance, if you are studying abroad in Spain and you decide to travel to Morocco on your own, or if you are studying abroad in Australia and you decide to visit Fiji, you should look up the entry and exit requirements for Morocco or Fiji. For more information about entry visas, please visit the U.S. Department of State website. For entry into your host country, please make sure that you look at requirements for entry as a student. Again, each country will have its own requirements and a country’s border control agency could require more documents than what is mentioned above. Please refer to the acceptance packet from your host university or study abroad program for details. Remember, you should also check with your host country’s consulate or embassy to find out the exact documents you will need to produce upon arrival to gain entry into your host country. If you are not a U.S. citizen and need to return to the U.S. to continue your studies after studying abroad, please make sure that you pack and carry all necessary documents and authorizations to re-enter the U.S. after your program ends. For more information, please contact the Office of International Student and Scholar Services, isss@illinois.edu. 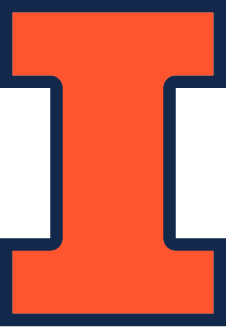 The Illinois International Safety & Security office supports all students, faculty, and staff during their when traveling internationally on University programs or for University business. Learn more about the emergency contact resources, travel policies, international insurance, safety and wellness tips, and view updates and alerts by visiting the International Safety & Security website. Need to find a hostel for your side trip to Dublin? Wondering about dinning etiquette in Japan? Looking to sublet your apartment for the semester you’ll be abroad? Questions about renewing your passport? Find the answers to all these questions and more with the help of some useful links! The Pre-Departure Handbook contains vital information for students preparing to study abroad.